This title is a flexible, undated Bible resource aiming to help people read big 'chunks' of the Bible in time set apart with God. This book features starting points to help readers understand, then reflect on and respond to what they are hearing through the Bible readings and there is also space for personal journaling throughout the book. 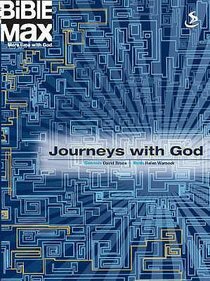 About "Bible Max: Journeys With God"
David Bruce, DMin (Fuller Theological Seminary, Pasadena), PhD (St. Michael's University, Toronto), has over twenty-five years of pastoral experience and now works with homeless and marginalized persons in downtown Toronto. He is the author of the popular Jesus 24/7 series and co-author of Three Testaments: Torah, Gospel, Quran.